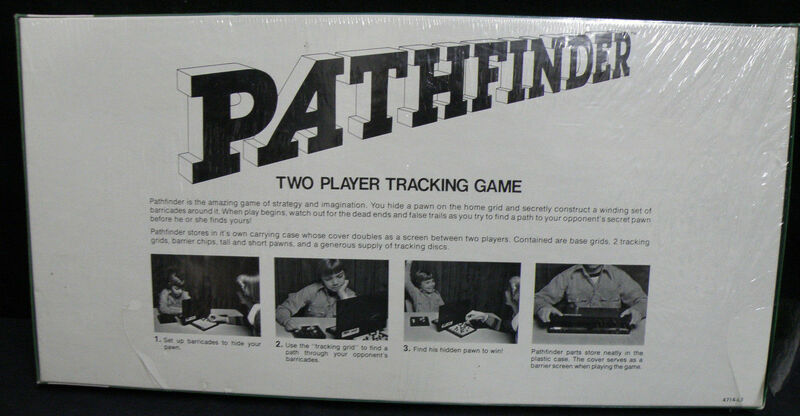 1977 MILTON BRADLEY BOARD GAME PATHFINDER NEW OLD STOCK (NOS) NEVER OPENED FACTORY SEALED! RARE FIND! 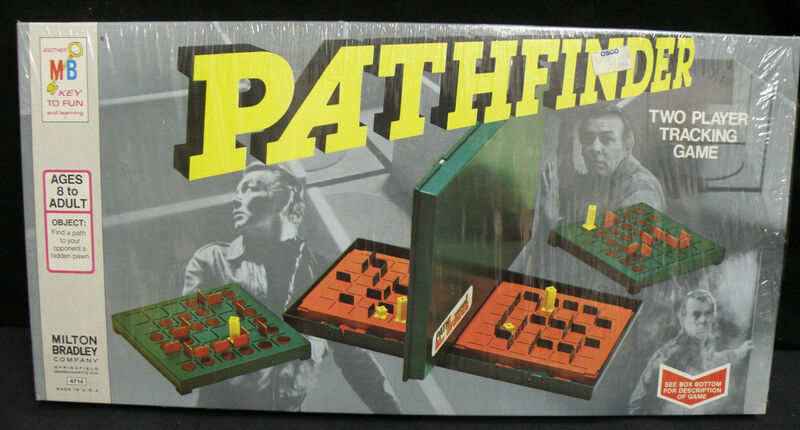 CHECK OUT OUR STORE FOR MORE VINTAGE ITEMS! 100% COMPLETE WITH EVERYTHING! MADE IN THE USA! 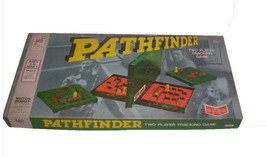 Your bidding on The Vintage Board Game Path Finder. 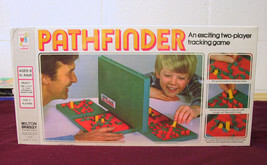 This is a vintage game from 1977 that is still sealed never opened (see photos). 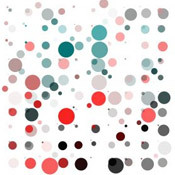 Colors are great and box is great. Of course I can not guarantee the condition of the contents as the product was never opened or unwrapped from factory. There are some rips and breaks in the plastic wrapping in different areas of the box. You can see a couple in the photos but you have to look closely. There are some factory made machine holes in the plastic that are suppose to be there. Just want to cover myself. Selling as is no returns as it should not be traveling around the country even in a well packed box just because a buyer got the case of "buyer remorse." I insist on no return condition on this sale. Shipping and handling only 18.00 USA! 100% satisfaction so bid with confidence. Been with since 1998 (18 years!) so I know how to please my customers. From the product to the packing to the shipping all A Good Luck!